Dedalus Shortlist announcement at University of East Anglia! Scenes! 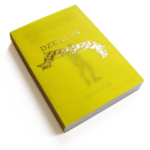 We are delighted to announce that Dedalus by Chris McCabe has been promoted to the list of six finalists in the Republic Of Consciousness Prize 2019! 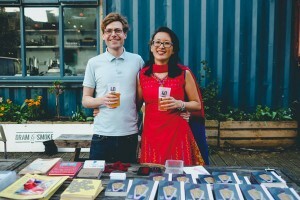 The Premier Prize for Small Presses. We were present at the Love Takes Risks symposium and plenary panel (David Hayden, Eley Williams) to hear the shortlist announcement. We thank the judges for unpicking the Gordian longlist, Neil and James Tookey at the prize (who tonight paid for a book to be made. Up yours Booker), generous sponsors and hosts at UEA, and most of all Chris McCabe for writing a stone cold masterpiece and having the spirit to keep on taking it to another level. Our Kickstarter continues! Discover the second installment from Chris’ incredible body of work!